The second of todays walks took us through Shoulthwaite and up to Castle Crag Hill Fort and to the fantastic viewpoint of Raven Crag. Lovely sunshine at the start of the walk looking to Thirlmere. If it's like this at the top we will be in for a real treat! Castle Rock - A great place for rock climbing. A view across to the Dodds. The view back down the track we used to ascend to Raven Crag with Skiddaw in the background. Skiddaw across Shoulthwaite and the Vale of Keswick. Castle Crag just behind the trees in the foreground. 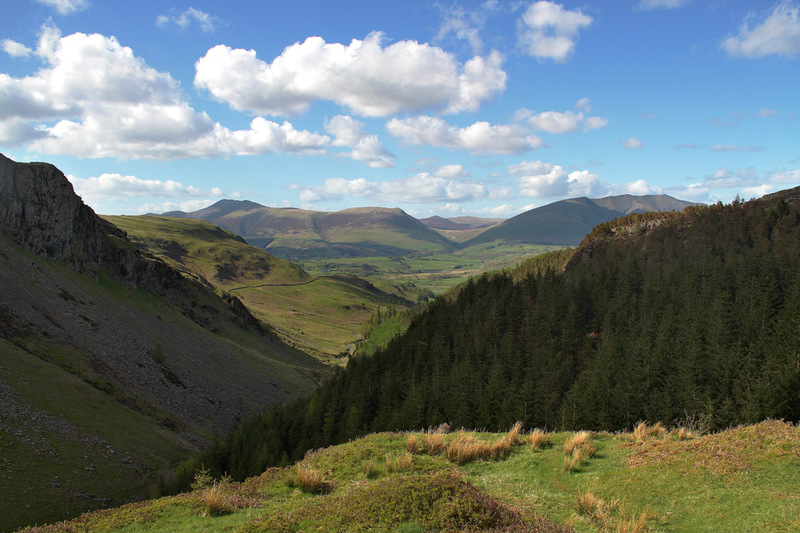 A view down Shoulthwaite to Skiddaw and Blencathra from Castle Crag Hillfort. Great How and the Dodds behind. Blencathra and Clough Head across St Johns in the Vale. 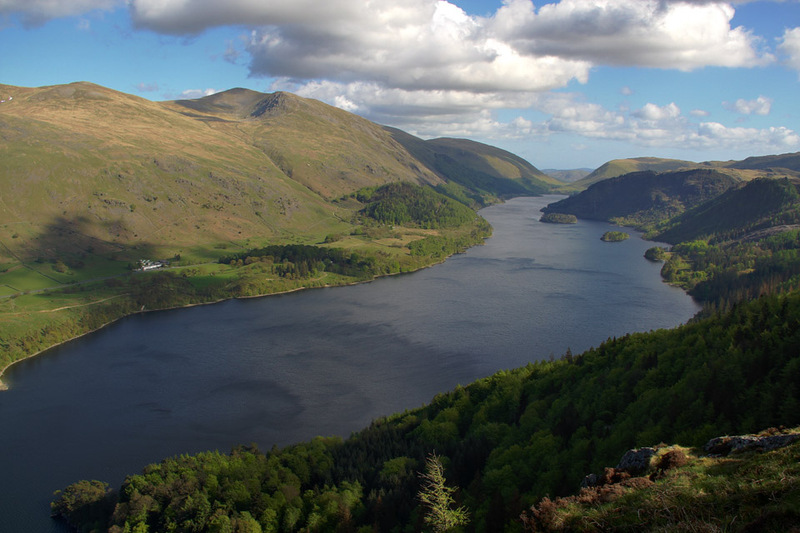 A full length view down Thirlmere to Dunmail Raise from Raven Crag. The highest peak on the left is Helvellyn.